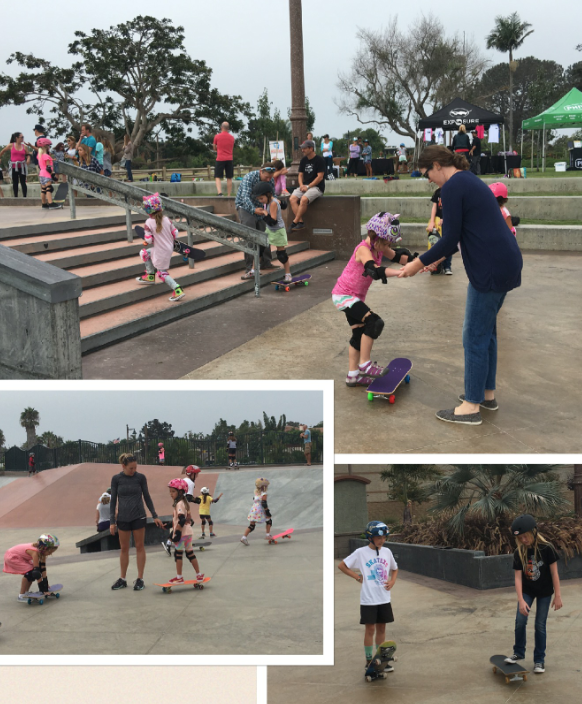 This month’s Skate Rising was on September 10th at the Encinitas Community Park. The guest speakers were Lauren from International Rescue Committee & Bryan from SkateXS. In preparation for Lauren’s visit the girls* were asked to make Welcome Kits for refugee families living in the San Diego area. Some girls made their kits and extras. 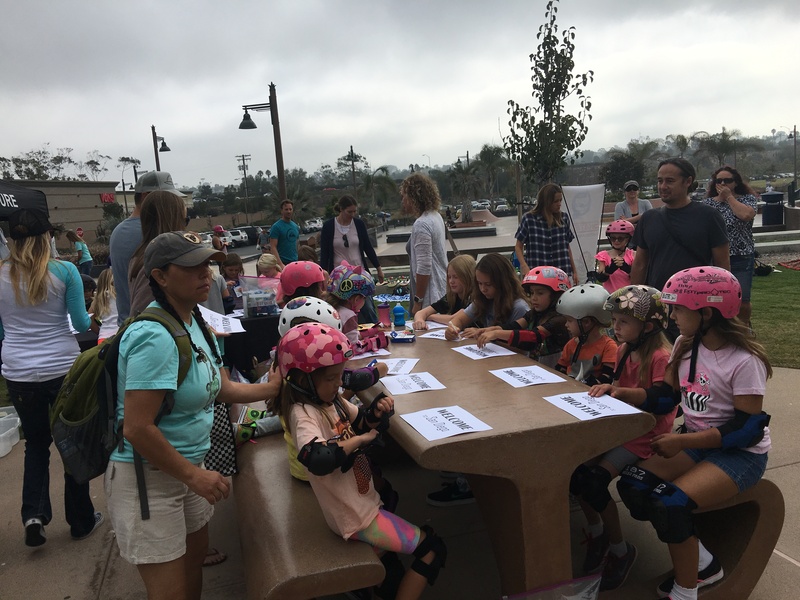 *Skate Rising provides 5-18 year old girls with an opportunity to serve the community & skate together – they are supported by girls, boys & organization. 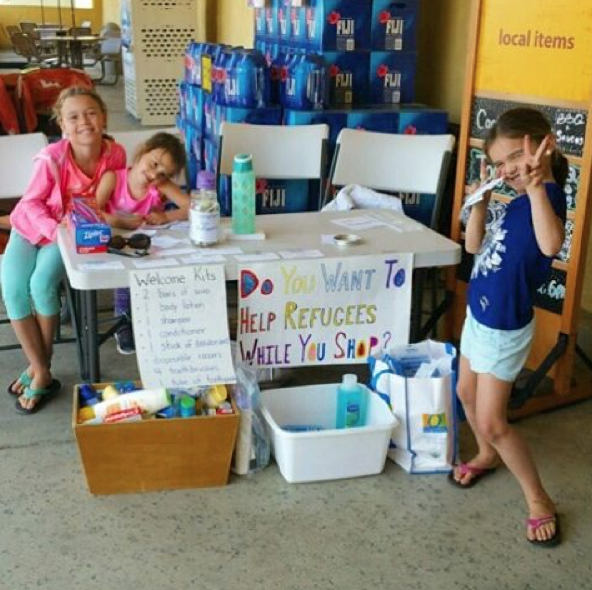 The kits contained soap, body lotion, shampoo, conditioner, deodorant, disposable razors, toothbrushes, and toothpaste for a family. Items that many take for granted. Lauren talked about how we can help new families in our community. One of the easiest ways to serve others is to just welcome them. So the girls made welcome notes for each of the kits. 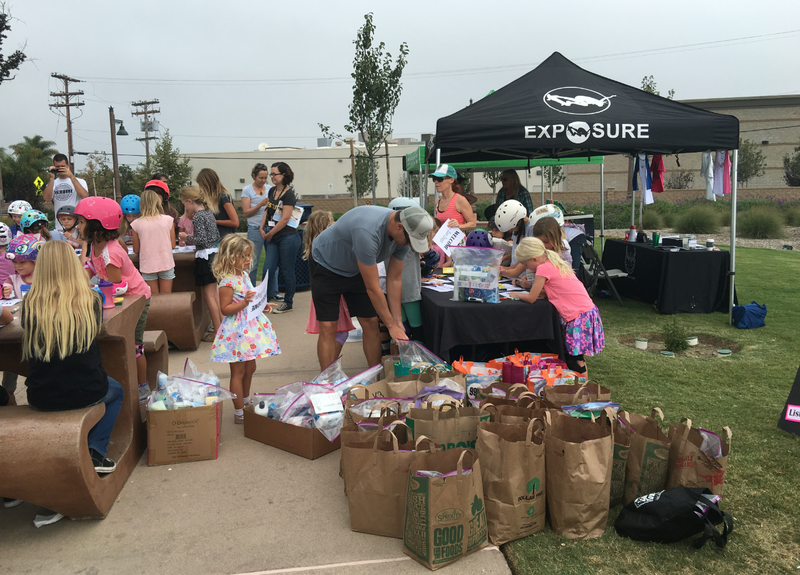 In all, almost 100 Welcome Kits were made for local refuge families. Next Bryan from SkateXS talked to the girls about how he has the best job because he makes skateboards. 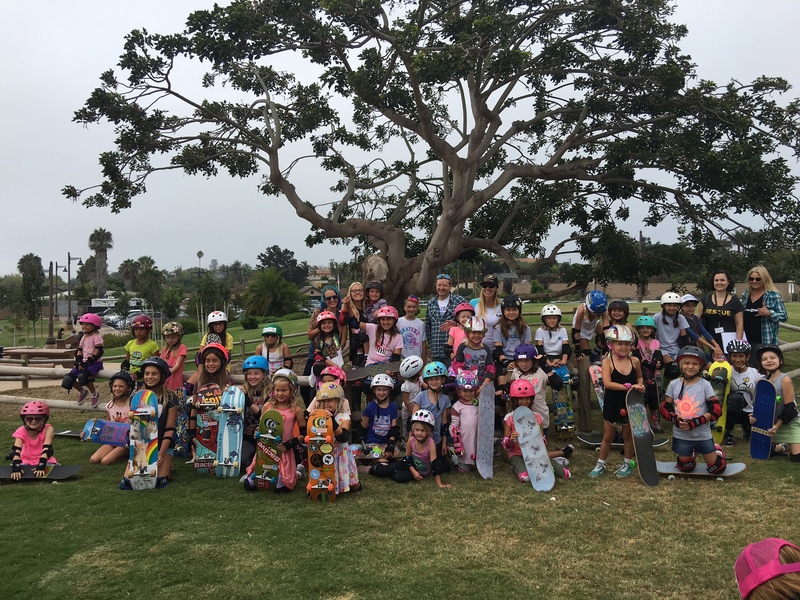 SkateXS, located in Carlsbad, makes skateboards for kids. Each skateboard is special just like each skater is unique and has their own style. Bryan reminded the audience that whether you have a beautiful park, like the one we were in, or just a patch of ground you can have fun skateboarding. Then Zyler, from the SkateXS team, demonstrated a kick flip and it was time for everyone to skate. Above I 100% support hand holding in skateboarding. And below I’m so excited to see girls skate on their own. 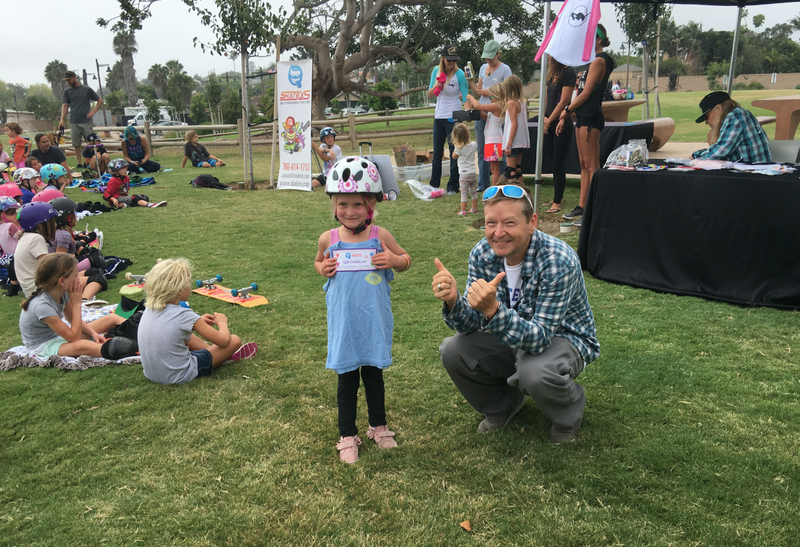 I had to leave early, but I heard the morning ended with a raffle, where one lucky 4 year old won her own custom Skate XS complete. We are all winners when we have programs like Skate Rising so huge thanks to all the people who help Calli Kelsay manage this program for EXPOSURE Skate. 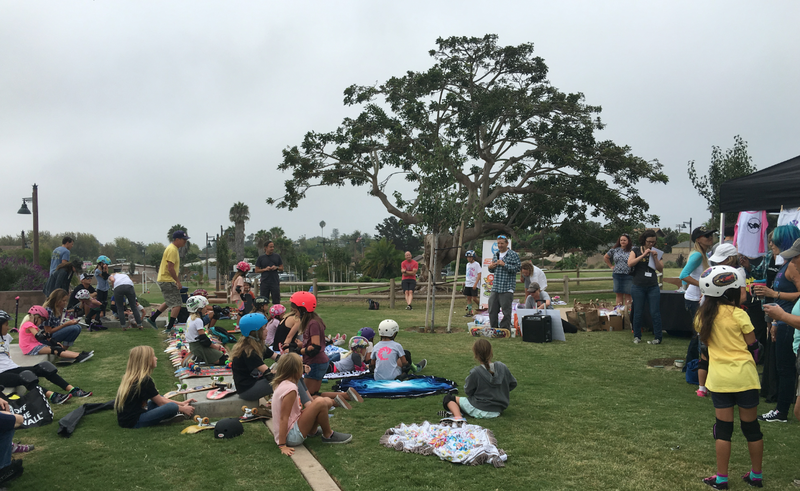 And thank you to all the sponsors like Phive Bar & Nekter Encinitas who provide refreshments each month. 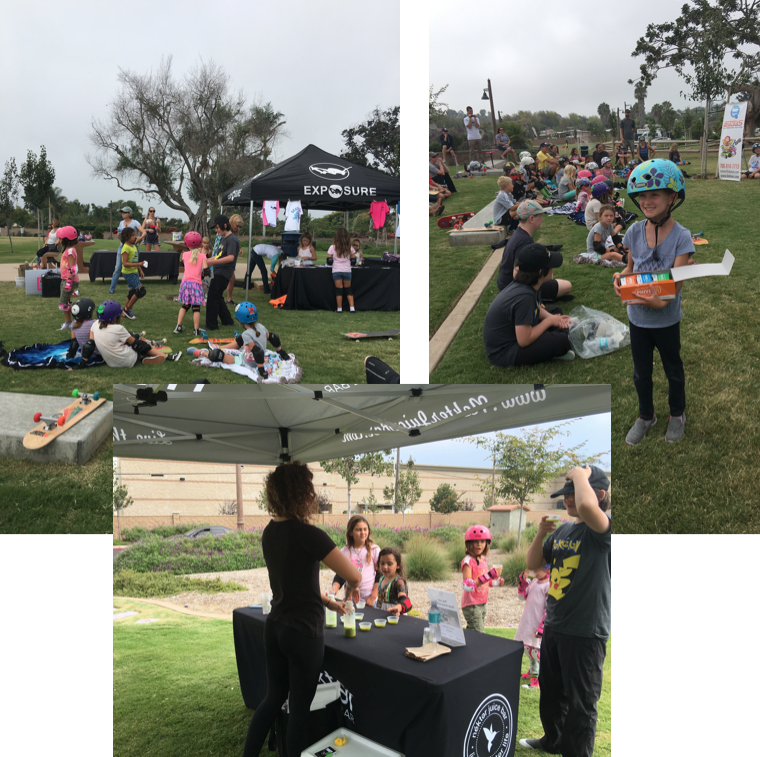 Till next time – which for Skate Rising will be Saturday October 8th from 9-11am at the Encinitas Community Park – keep it stylish on & off the board. 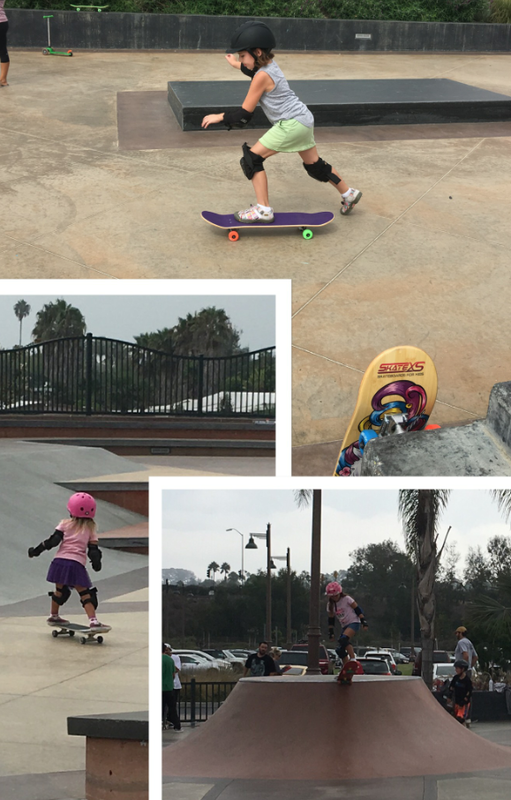 Please share your adventures and the events you go to because more girls skateboard when they see girls skateboarding and get encouragement.